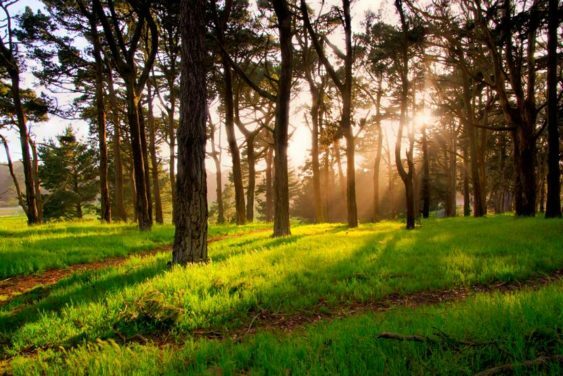 Celebrate the Spring Equinox as the Wheel of the Year turns toward the sunshine with a Ostara ritual in Magic Meadow in Golden Gate Park at 1 pm on Saturday, March 23, 2019. The ritual includes a kids circle & egg hunt, all are welcome. Reclaiming is an inclusive tradition, and all Reclaiming friendly folk are welcome. No drugs or alcohol before or during this event please. Please bring finger-food and non-alcoholic drinks to share. Camp chairs or ground-blankets are welcome. Flowers and greenery for the altar and musical instruments are welcome as well. You may also bring dyed, hard-boiled eggs. There’s wheelchair access via a paved path from parking lot. Please note that the field itself can be swampy after heavy rain. Transit: Take BART to Civic Center and transfer to Muni N-Judah train. Take the train to Judah and 40th, then walk two blocks to the park, enter at 41st Ave. Next, walk two short blocks into the park, enter the parking lot on right, and look for Pagans and/or signs. They’re usually straight ahead in the big meadow. Drivers, enter at 41st and Lincoln to park in the lot.